As we ramp up for the upcoming July 4th weekend, we’re covering all of the bases with this edition of the SK&H events guide! 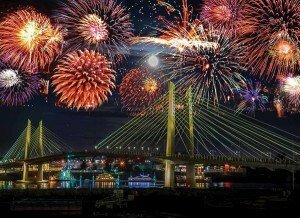 Whether you like beer, music, or bucking broncos, Oregon is filled with festivals and fun this Fourth of July weekend. Be safe, enjoy the long holiday weekend, and most of all, enjoy your freedom! The 2016 Safeway Waterfront Blues Festival features 60 performers on four stages this year, and will finish with a fireworks show on the 4th just after 10 pm. Standouts include Dr. John, Femi Kuti, Tedeschi Trucks Band, and The California Honeydrops. Going on at Tom McCall Waterfront Park. The Portland Craft Beer Festival will showcase beer, cider, and wine made solely within the city limits of PDX – making it unique to similar festivals. This year’s fest features 47 Portland breweries and cider houses. Wine, cheese, and food carts will all be on-site at this fun annual event, taking place at Fields Neighborhood Park. From Bach to chamber music and all types of classical music in between, the Astoria Music Festival is quickly becoming one of the state’s most anticipated events. This year’s festival will include an honorary symphonic performance memorializing the work of the late David Bowie. The Estacada Timber Festival is back this year for 2 days of fun. A full carnival midway with rides, games, and vendors await you and your family. Amateur, individual, and company teams are welcome to join in the timber competitions, but no pros! This competition is for plain ol’ everyday loggers. At 10pm, look up for the big bang everyone is waiting for, one of Clackamas County’s largest firework shows. Billed as a gathering that bridges the worlds of both science and imagination, the West Coast Science Fantasy Conference (Westercon) comes to PDX this year. Enjoy art, panels, costume contests, and vendors at the event. Happening at the DoubleTree Hotel by Hilton-Portland. From a humble beginning, the St. Paul Rodeo has become one of the nation’s top rodeos, with prize monies approaching $500,000 and nearly a thousand competitors. Designated as a Wrangler Million Dollar Tour Rodeo, it’s one of an elite group of eight rodeos attracting the top competitors in the world. Watch fearless cowboys and cowgirls ride bucking broncos, and rope and wrestle steers.